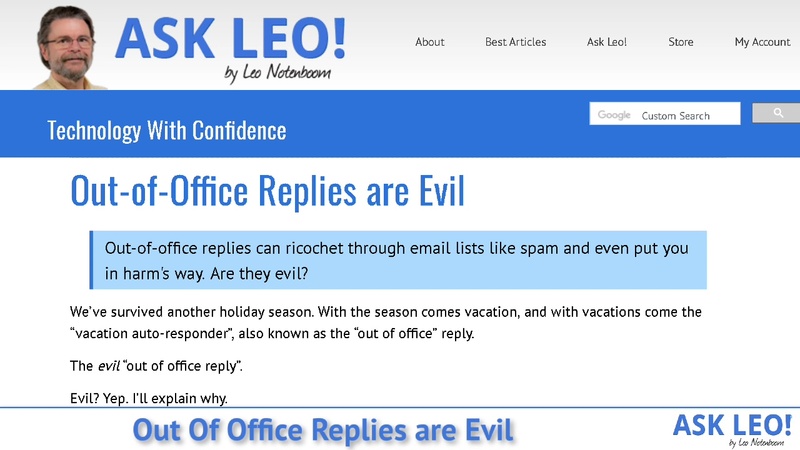 Out-of-Office Replies are Evil - Ask Leo! Out-of-office replies can ricochet through email lists like spam and even put you in harm's way. Are they evil? We’ve survived another holiday season. With the season comes vacation, and with vacations come the “vacation auto-responder”, also known as the “out of office” reply. The evil “out of office reply”. Evil? Yep. I’ll explain why. Out-of-office messages have best practices. When those best practices aren’t followed, out-of-office messages can annoy others. Out-of-office messages can reveal your vulnerabilities. Out-of-office messages can confirm your email address to spammers. 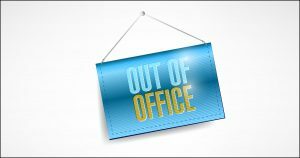 Out-of-office replies, often termed OOF for “out of facility,” are automated email replies you can configure your email program or service to send on your behalf when you are out of the office, on vacation, or just not planning on responding to email in a timely fashion. The automated response says something like, “I’m out of the office this week and not checking email”. The automated reply is sent to each sender exactly once, no matter how many times they send email. The automated reply is never sent to mailing lists. 3. The automated reply is never sent outside the company. 4. The automated reply is sent only to people in your address book. If those conditions are all met, you may be able to use OOF replies safely. If not, you run the risk of being evil. If rule #1 is broken, you annoy everyone who needs to send you more than one email while you’re away. No matter how many they send, they’ll get your automated response again and again. If rule #2 is broken, depending on how the mailing list is configured, your automated reply will go either to the person who sent a message to the list (whether or not he or she knows or cares about you), or possibly to everyone on the mailing list. If both rules #1 and #2 are broken, then every message to a mailing list may cause your out-of-office message to get sent again and again and again, flooding the mailing list. If rule #3 is broken, you may share company information with those who needn’t or shouldn’t have it. If rule #4 is broken, then you don’t know who you’ll have informed of your absence. That, as it turns out, can have unwanted side effects. By sending an out-of-office reply to anyone who emails you, you may tell a random stranger you’re away, and open your home to a burglary. On top of that, you’ve probably also replied to spam that wasn’t caught by a spam filter, thus validating your email address to the spammer. The result: you’ll likely get a lot more spam. My take is simple: unless you can follow the four rules or best practices listed above, OOF messages are a good idea that have gone horribly, horribly wrong 99% of the time. And, honestly, most of the time an out-of-office reply isn’t needed anyway. What’s this new anti-spam policy about, and how will it affect me? - At first blush the new policies look like a good thing... until they start hitting email discussion groups and creating all sorts of havoc! Bottom line: blame spammers. How Can I Automatically Reply to Spammers To Tell Them to Stop? - It's tempting to want to reply to spam, telling the sender to stop it (or worse). Not only is that ineffective, it often makes things worse. My Flood of Auto-Responses - I made a minor change to the newsletter and as a result was flooded with auto-responses when it sent. What I learned about auto-responses is important to know. 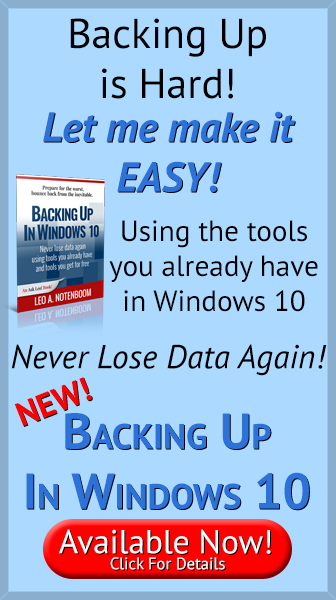 « Previous post: Crank Your Password Strength Up to 11! The OoOF of Lotus Notes works the right way. You can opionally set it to respond to only internal email, i.e., don’t respond to email originating outside the company (e.g., SPAM, newsletters, etc.) so it notifies co-workers once. Sadly, Outlook doesn’t have that feature so you can’t keep OoO Message internal and thus, the feature is not very useful. Many years ago a mail storm occurred on our mail server for the exact reasons cited in Leo’s article. The lead engineer on our program had activated an email rule to forward all messages he received to the entire engineering staff when the subject line of the message contained certain key words. That produced an out-of-office reply from one of the recipients of the auto-forwarded message, which induced another auto-forward to the engineering distro list, which induced another OOO reply. The ensuing mail storm took down the server. This is called a “mail loop,” and there’s no need to explain its hazards — you found them out firsthand! Configuring your “OOF” to reply only once to any given sender, as Leo recommends (or, alternatively IMHO, no more often than once in every 24 hours) should suffice to prevent this sort of thing from happening. Couple years ago I was out for surgery and decided to forward my Notes mail from work to my home email. Used my personal address shortcut for my home email address. Notes ‘autocompleted’ my name and forwarded all of my mail to an employee at our installation in France. MONTHS later I was copied on an email from her supervisor to our corporate IT folks, asking who I am and why am I forwarding so much email to her. Don’t I feel like a dope. She got a chuckle when I explained it, I felt so bad for her. Never used oof again. I’m not sure of the “send-only-ONCE” rule, because people may have forgotten the original response, or might wish to check whether you are STILL out. An alternative might be to set the thing up to send a response to any given recipient no more often than once in 24 hours. This will kill any mail loops, but will still provide functionality. A further issue with OoO’s is that all too often, there’s never ANY follow-up to one’s original enquiry – which drives me nuts! It seems that when the suntanned OoO originator gets back from the Bahamas, he simply bins all the emails that piled up while he was away – apparently assuming a bot (or the fairies?) sorted it all out in his absence. Whatever happened to common courtesy in business? Follow on to my Oct 2005 comment, apparently Exchange 2007 and Outlook 2007 will now do what Notes did years ago, have the option to only send OoO internally. Haven’t used it yet (we’re still Exchange 2003) but at least there’s hope. it’s on me to resend some time after they return. I have never understood why the out of office assistant can’t simply only reply to emails that successfully make it through my spam filter. Out of office assistant seems to reply to any and everything. ‘Out of office ‘ evil? Perhaps. For some unknown reason my pc sends a random response to people who have e-mailed me telling them I am away until Sept. 1st. I wish I was but what can I do to rid myself og this? You’ll need to check the out of office functionality either in your email program (not sure what you’re using), or your email service. Might well be on the service, so see if they have a web interface where such things can be configured. Rule 1: It should be arranged that no “Vacation” reply message (you call it an “Out Of Office” message) will ever be sent more often than once in every 24 hours (and the message itself should explicitly say so). Rationale: People can be forgetful and need reminding, or they may simply wish to check whether you have yet returned (either early or late); thus, provision should always to be made for senders to receive subsequent “Vacation” reminders should they seek them. A significant delay, however, IS most certainly ABSOLUTELY NECESSARY in order to prevent a possible mail loop — THAT would be most TRULY Evil!!! I absolutely and heartily agree with Rule Two, but it can be difficult to implement. Not replying to Spam can be prevented with good Spam filters — if Spam is filtered out before it reaches your Inbox, it will never be replied to (automatically or otherwise)! Unix users have a “vacation” command that easily implements my variation of Rule One, (and only replies to messages that entered then Inbox, so Spam filters would be effective); but it leaves Rule Two completely out in the cold. Some other (temporary) “filter” would be necessary to block newsletters. Is the receipt check also bad? No, but it isn’t as useful as you might hope, because the person receiving the email has to confirm that they want to send the receipt. Many choose not to. I personally block the requests before they even before it gets to me. If by “bad” you mean “pointless” – yes. Not really pointless in a large office environment. Look at from the perspective of a manager, managing dozens of people. The manager sends hundreds of emails on different topics to many people and needs to track of responses and acknowledgements. The read receipt is required and it helps check off who bothered to open an email (although they may not have actually read it). If some task is not performed with the claim that “I didn’t know”, there are different actions that can be taken for not opening the email or opening the email and not reading it. Conversely, when I get an email, but I cannot respond to it promptly, I may deliberately open the email to sent a read receipt as an acknowledgement and then mark the email as unread so I can track it and follow up later. I also save the read receipts so that when someone says I never got your email I can provide the receipts as evidence. These methods work not just with employees, but also with contractors and clients. Think big and don’t just rely on your memory. I was the Operations Manager for an international company, in my absence my deputy took my Emails. If you really think that it is imperative that others know that you are absent I suggest that you take a reality check. Our company pretty much follows rules 1-3. That makes 4 a moot point. If someone from within the company wants me to respond, they get my message saying when I am out, when I will return, who they can contact for some things, and if I will check mail occasionally. Barry – your statement only works for executives that have deputies that will answer their mail. Most of us do not have that luxury. If you use OOF in a company, then rule 3 would apply, if you are an individual and correspond with customers, for example, then rule number 4 would apply. In a way, it’s an either/or situation with rules 3 and 4. Bill – totally agree with your reply to Barry. Small companies often only have 1 person doing 1 particular job. In addition, I agree with the entire article except the last sentence, stating that OoO’s are normally not needed, again for the same reasons. The Mail Loop strikes again! At the accounting firm I support, clients expect a quick response to email during the working day. If they are ignored, they will start looking for a new accountant. And there are no secretaries. OOO is required. Ditto. OOO reply wasn’t meant for personal users. When you work in a big organization, with offices in many cities, perhaps in several countries, you’re not going to call everyone to tell them you’ll be gone. And if you don’t cover yourself with an OOO reply, all hell will break loose with clients and contractors. Of course, the other alternative is to take your device on vacation and respond to emails on the beach. For any company that respects their clients, vendors, potential clients,,, OOO replies are a MUST. You cannot limit OOO replies only to within company or your mailing list unless you are prepared to miss on important business inquiries. Remember when you sent an mail and did not get timely reply? Were you upset? Anointed? So will be others. My suggestion to modify rule 1: sent one OOO, but one per day. On top of that – if you can do this securely — and OOO notwithstanding, do check your emails occasionally when you are away and reply those that need a prompt reply.